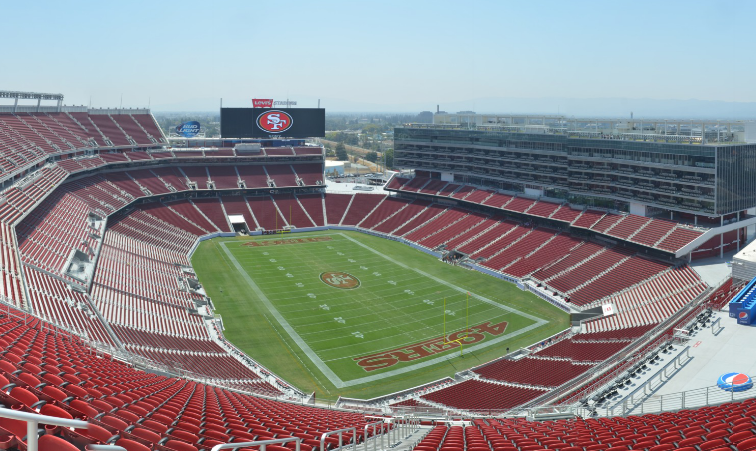 San Jose Mercury News columnist (and frequent AN contributor) Alan Hess took on HNTB’s Levi’s Stadium, the new $1.3 billion home of the San Francisco 49ers. Hess compares the “starkly utilitarian,” 68,500 seat stadium to Silicon Valley’s high tech environments, and even to its high-end gadgets. The building “translates the high-def experience of a game we see on TV—the roaring crowd, the superhuman action of the players, the intense color of the grass under the TV-studio lighting, the camaraderie of loyal 49ers fans celebrating (or commiserating) en masse—into an enormous three-dimensional architectural spectacle,” Hess wrote. Other outlets seem to be equally impressed, at least with the stadium’s novelty and gizmos. Time magazine called the stadium the “most high tech sports stadium yet,” illustrating partnerships with tech companies like Sony, giant LED displays in both end zones, and wifi and 4G access for all fans. 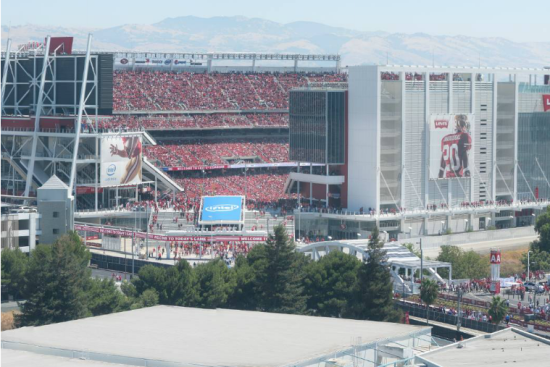 USA Today called it “massive and luxurious,” a shiny new antidote to “grungy” Candlestick Park, the Niners’ former home, with its “wide concourses and expansive views of the South Bay.” And SFist, a little bothered by the lack of shade, liked the solar panels that will power the stadium for all of its home games. But the same reporter, Daisy Barringer, had an interesting comment. Unlike Candlestick Park, which had a decidedly unique mid-century character (and flaws), the new stadium feels a little more, well, normal. “It’s just another NFL stadium,” said Barringer. Click here for a live view of the stadium.